What do you do on a lazy Sunday morning when you’re hungover? You eat. Hop around these restaurants on Dhole Patil road and you can sample a different kind of breakfast at each eatery. Make it a big endless brunch, because well, you’re going to need some time eating around here after all. The iconic Vohuman has got to be your first stop. The old Irani that’s been elevated to look like a modern day cafe offers bun maska and omelettes. The cheese omelette and the cheese toast that comes with a brick full of cheese is heavy but a favourite at the cafe. And, you can also get a cute photo on the red luna for your Instagram. This cafe will gives that breezy, lazy Sunday vibe that we all love. You can’t live in Pune and not love a misal pav breakfast. Katakirr Misal House, the popular but humble eatery opened next to Vohuman Cafe a while ago. And, it dishes out its brilliant little plate of misal pav that you can relish. Maybe also get some masala taak on the side to cut through the spice? 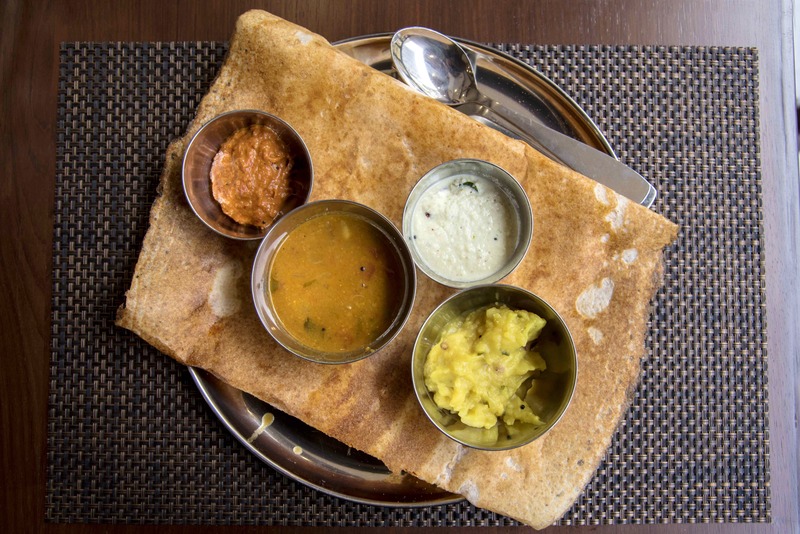 A scrumptious south Indian breakfast could easily make anyone’s day. While their breakfast menu serves upma, pongal, poori bhaji, chettinad parotta and rava idli till 10 a.m. You can also get podi idli, rasam vada, uppu puli dosa, adai avial and other items. Oh! And don’t forget some delicious filter coffee too. You could also opt to have other meals here, to know more about the place, read our recommendation. Serving thalis that you could eat at lunch, step inside the Satara chain for a meaty brunch. Dig into Kolhapuri-style thali, but if that’s too heavy for brunch, then opt for mutton sukka or a chicken fry. If you’re one to start your day with biryani, gorge on the mutton or chicken variation. And, you can wash it all down with a glass of solkadi. To know more about the place, read our recommendation.